Passionate journalists start young: the great Christiane Amanpour graduated from the University of Rhode Island Harrington School of Communications in 1983. Before pursuing journalism as her major, her early life and first hand experiences within the Islamic Revolution led her to desire to become a journalist and want to communicate news all around the world. Now she is a very well-known journalist broadcasting on CNN. I came into the high school knowing that I love journalism. In my English class at the end of eighth grade, signing up for my freshman year electives, I knew Introduction to Journalism would be my number one choice. After excelling and loving that course, I became a part of The Current Wave staff my sophomore year when it was still a class. My passion then continued as I wrote for the paper my junior year as well when it became a club. As a club, we produced only two issues, compared to the eight we produce as a class. Senior Jacob Maguire, my fellow classmate, did an outstanding job of doing the hard task of running the newspaper as a club through his senior project. With my experience in both settings of a classroom and club though, they are nowhere near the same. Being an athlete, I was not able to make it to nearly as many meetings for The Current Wave as I would have liked. This was the case with many of my peers who had conflicts as well. When it was a class, I was able to focus every other day on the type of writing I love and communicate with the newspaper team on brainstorming on ideas for different issues and articles. Aside from attending the meetings, not having a class period to write and edit each other’s articles was very difficult as well. Time and effort was lost within our pieces through no fault of our own. Going into my senior year and not having a newspaper class is putting myself and others who plan to pursue journalism in the future at a disadvantage. While starting the college admissions process, having a journalism resume is critical. Bill Conley, Vice President for enrollment management at Bucknell University, said, “An applicant with a true journalism resume will gain some very important weight on the admission scale.” The purpose of senior year is to take electives that you are interested in and to show schools what you may major in in the future. I am not able to do this because of the lack of journalism classes. As Bill Kovach and Tom Rosenstiel in The Elements of Journalism from the American Press Institute say, “ the principles and purpose of journalism are defined by something more basic: the function news plays in the lives of people.” Journalism plays a huge role in today’s society. It communicates to the world the always changing news, issues and events taking place. Journalism is a lost art that seems to be appreciated on one end of the spectrum more than the other. Acknowledged are the ever-so popular stories such as the recent controversial “fake news” on our current president or even trying to figure out if a single dress is black and blue or gold and white. What is not as appreciated always, in my opinion, is where everyone gets this news, which are the hardworking journalists behind these articles. In my case what I feel is not being appreciated, being in high school, is us aspiring journalists. North Kingstown High School’s decision to eliminate the Newspaper Production Class is taking away my ability to obtain knowledge about a strong passion of mine. This is a common feeling among many of my peers, yet our administration tells us there are not enough of us to run the class. The problem here is that the elimination of The Newspaper Production Class will occur in tandem with the cancellation of the prerequisite to this course, Introduction to Journalism, leading journalism within the high school to disappear for years to come. We have made suggestions about combining the newspaper course with other low- enrolled courses such as Introduction to Journalism or even running the Newspaper class for only one semester, keeping The Current Wave as a presence at our school. These ideas have been dismissed. If our administration truly wanted to keep this paper alive and give us the opportunity to build this program, they would run this course with low numbers next year, or take one of our suggestions that would increase the enrollment. 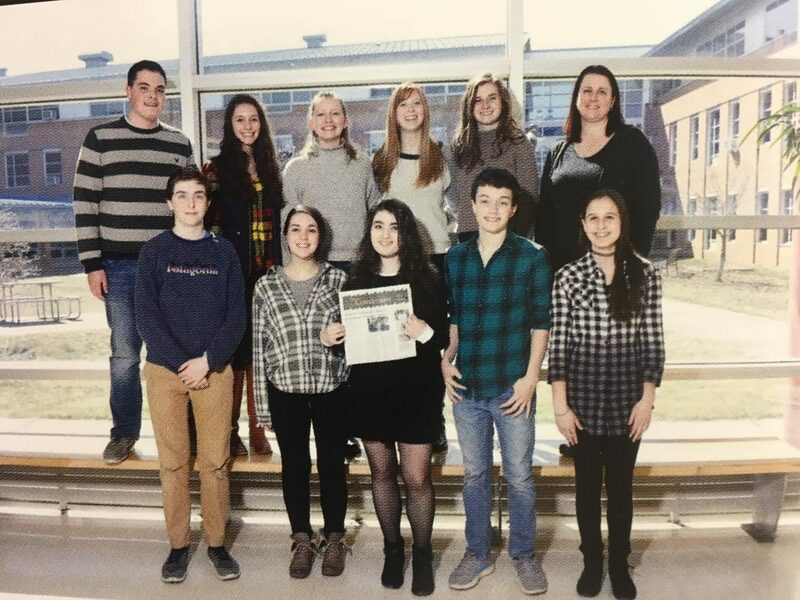 During the 2014-2015 school year, the Newspaper Production class ran with eight members and took place within the same class period as Introduction to Journalism. I was enrolled in the Introduction course at the time and had a great experience learning first hand about journalism and seeing what I had to look forward to when I could be a part of The Current Wave the next year. The following year, 2015-2016, there were 24 members of The Current Wave staff, leading the class to run on its own. My classmates and I want to advocate for the running of this class next year, so we can move to our end goal of it being a full multimedia class, boosting enrollment for years to come. This cannot happen unless we run the Newspaper Production class next year. The Current Wave already has a website, Facebook page, and Twitter account, but the possibility of expanding to live broadcasting and updates every day are possible. Moving to a platform like this would give students many different options on how to learn about and demonstrate journalism, leading to more students signing up for the class. Journalism is evolving each and every day. News is broadcast in newspapers, online, through apps on phones and through programs on TV. Moving to a multimedia program will be able to create young journalists on all different levels, thereby demonstrating to students the world of journalism we are in today. In this era of fake news, training young people to be objective, to distinguish fact from fiction, and to hold those in power accountable is so important. Journalism is much different than the money-maker courses offered at the high school such as business and engineering. These, although being important classes, don’t teach the same ethics and skills of journalism, which can be used in everyday life. Many people may have the opinion of newspapers being dead, but journalism most certainly is not dead and it is actually on the rise and more important than ever. Many people can’t go a day without checking for the latest story on social media. 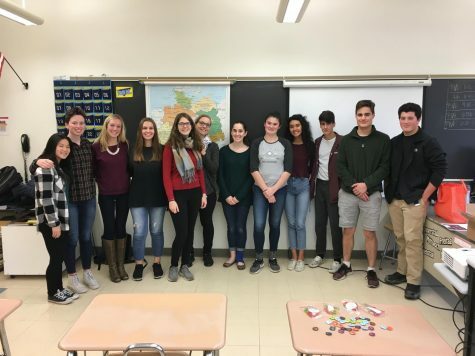 By running this course next year, it gives us the opportunity to turn this program into a multimedia program, keeping journalism alive at NKHS. My daughter graduated almost 20 yrs ago and I remember reading I then! 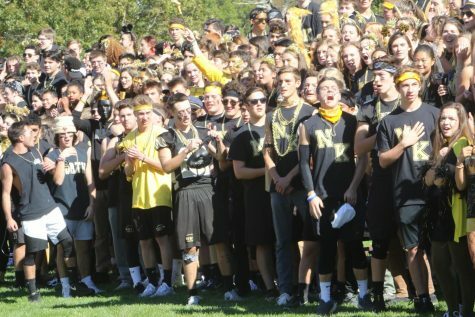 Schools need to provide extracurricular activities other than sports and music…keep the Wave! This is so important! New course offerings at the high school to include the broadening STEM course choices and marine biology are great and necessary but the effort to save this important program is admirable and crucial. Excelling at the written and spoken word are the essentials of any education and to take this award winning student effort away is surely a negative for our high school. Keep fighting for this students! Save The Current Wave! British Literature: Why stop with England?